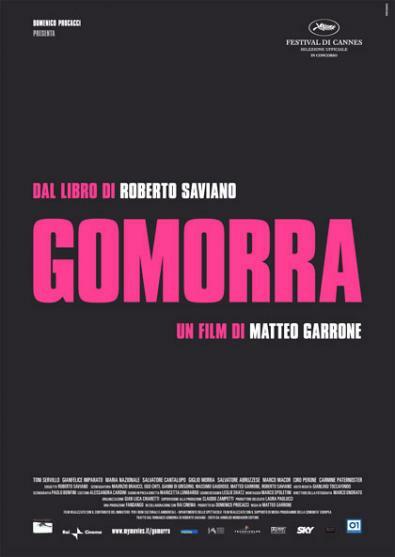 Gamorra the film selects several stories from investigative journalist Roberto Saviano’s best seller of the same name. All set in or around the Camorra’s (Mafia of Napoli and its surrounding towns) territories and business interests. 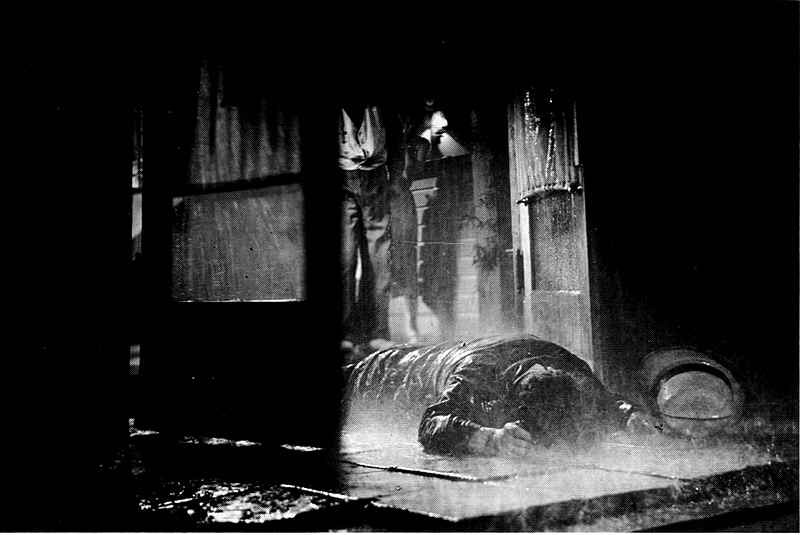 Gamorra includes several interesting formal features in which the film communicates the violence, despair, and seemingly unavoidable fate of the central character’s struggle to survive in Europe’s most violent neighbourhoods. The technique of shallow focus is important in Gamorra in communicating this poisoned atmosphere. Shallow focus is the cinematographic technique which shows one plane of field clearly while the deeper plane of field is blurred or out of focus. The shallow focus technique would show a face close up in perfect detail but the background or location out of focus. Deep focus, shallow focus’s antithesis, is the technique which shows an entire image in focus. In exposition shots we see the use of deep focus to clearly identify depth and position. Gamorra uses the shallow focus technique to foreground certain elements important in the communication of the toxic heritage that living in the Camorra dominated south entails. 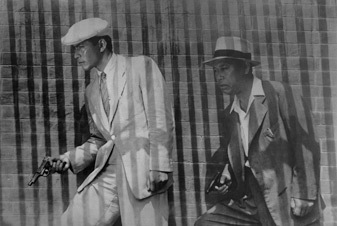 The shallow focus technique is used to indicate, in part, the attempt in the characters to ignore and distance themselves from the violence they are surrounded by. This is indicated in a scene where a money-carrier walks suspicious and fearful of his well-being after he has a gun pointed at his head. 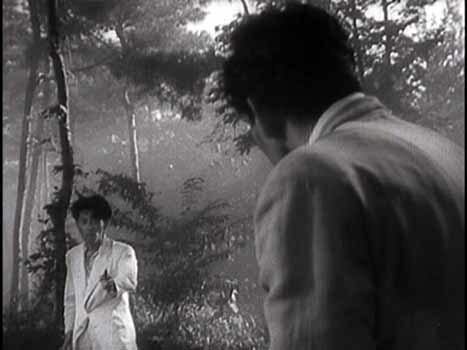 As he walks away hastily the background moves out of focus, he attempts to block out the violence he just saw, yet a voice shouts out his name and follows him until he reluctantly stops and engages with the voice that has been stalking him. 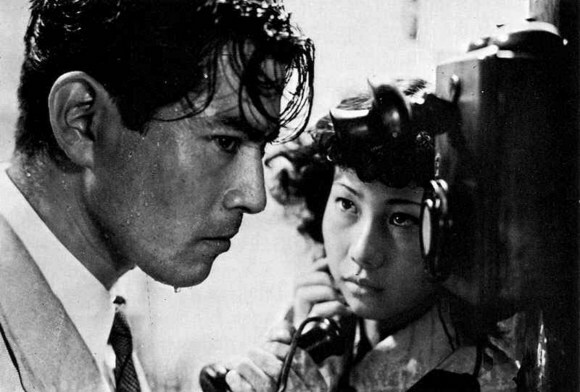 As he does the film returns to a deep focus. This indicates the futile attempt that is ignoring the context or situation the character’s find themselves in; one cannot step out of Camorra controlled life. The aesthetic of the shallow focus communicates a sense of a constant, ungraspable, unknowable violence which envelops and blurs clear and distinctive perception. The use of shallow focus reminds the viewer that the violent acts and characters are borne out of the poisonous toxic context. The sense of the unknowable and paranoid, added to by the style of death of Maria, also alludes to the actual feelings of the author of Gomorra who lives under protective custody; the truth comes with a terrible price. Gomorra has been linked to, and commented, to be in the Italian Neo-realist style [I have decided to create a full article concerning this statement however one element of the Neo-realist style is relevant enough here to merit bringing it up now; the use of non-actors in significant roles]. 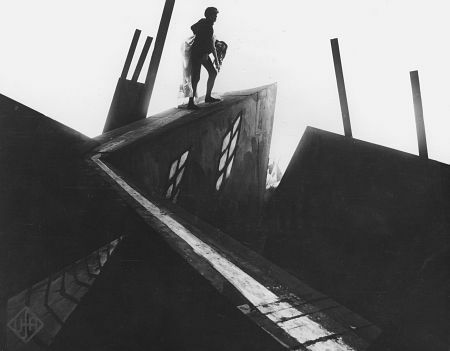 Andre Bazin commented concerning Italian Neo-realism ‘It is not the absence of professional actors that is, historically, the hallmark of social realism nor of the Italian film. Rather, it is specifically the rejection of the star concept and casual mixing of the professional’ and amateur. (1.) Bazin argues that this ensures the audience brings with it no pre-conceptions concerning character – the opposite to what Jean-Luc Godard did in Alphaville (1965); that is play with those pre-conceptions. Bazin explains ‘the result is… that extraordinary feeling of truth that one gets from [Italian Neo-realism]’. (2.) In Gomorra several significant, or rather nearly all, roles are played by amateurs and non-actors and this attributes to a sense of authenticity and realism. Skinny young men, fat overweight looking men litter the film; average-looking people, as opposed to the stylised look of Hollywood, imbues the aesthetic of Gamorra with an ‘atmosphere of authenticity’. (3.) This is added to outside of the film by the film’s official website which doesn’t list the actors beside pictures unlike Hollywood film where actor recognition is important. Staying outside of the films’ digesis the aura of authenticity of Gomorra has been further added to by events outside of the film. One of the central messages of the film, and book, is the infectious dominating control the Camorra has in everyday life from the most basic domestic sphere to the world of industrial waste and fashion design. Recently Bernardino Terracciano, who plays a boss, has been ‘arrested on suspicion of extorting protection money and having ties to the Casalesi clan, part of the Camorra Mafia’. (4.) Two other actors, one a boss and the other a hitman in the film, have also been detained by the police. These facts add to the sense that the non-actors are just playing-out their day to day lives but in front of the camera just this once but it also rams home the central message of the film that you cannot escape the touch of the Camorra. (1.) Andre Bazin ‘An Aesthetic of Reality: Neo-Realism’ in Andre Bazin, What is Cinema?, California: University of California Press, (1971), pp. 16-40 p. 23. (2.) Andre Bazin ‘An Aesthetic of Reality: Neo-Realism’ p. 24. (3.) Andre Bazin ‘An Aesthetic of Reality: Neo-Realism’ p. 24.